Designed by Kuba Czarnik, a brief look at the 2019 range of Prolights luminaries in action at Prolight+Sound 2019. Four of the technical partners – Fisheye, Painting with Light, PRG Belgium and WIcreations – involved in the ground breaking 40-45 Spektakel Musical production being staged at the Pop-Up Theatre in Puurs, Belgium, by Studio 100 are featured in a Behind the Scenes (BTS) movie. Shot in 4K during the set up and first weeks of the production, the BTS movie features clips from the show itself plus extensive and exclusive interviews with director Frank Van Laecke, technical director Bart Caels (Tour Manager for Nick Cave and the Bad Seeds) from B-Art Production Design, creative lighting expert and video designer Luc Peumans, innovative entertainment engineering specialist Hans Willems, Fisheye director Stijn Slabbinck – in charge of several scenic masterpieces – and Tom Van Hemelryck from PRG who provided lighting and rigging equipment. Prolights will be at Prolight + Sound in Frankfurt from 2nd-5th April 2019 – Hall 12.1 Stand D40. Where they will be unveiling new products that will ‘set a new standard of whites and colours’. Congratulations to all of the winners and thank you to our sponsors and supporters. 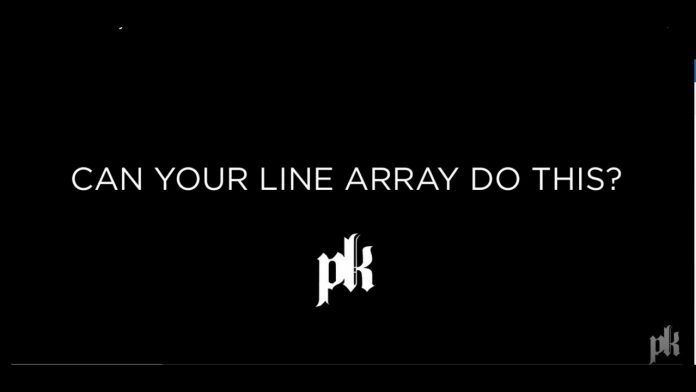 PK Sound – Can Your Line Array Do This? See how the Trinity Advanced Robotic line array system can improve your show experience. Solotech, a supplier of audiovisual and entertainment technologies for over 40 years, recently unveiled its new brand image. Playing with contrasts, the new identity showcases both the artists and the technicians, the onstage and the backstage, the cool colours and the warm hues. The new slogan “Solotech, Simply Spectacular” captures the company’s understanding of the duality needed to realize creative visions. More than just an aesthetic transformation, this new brand image reflects Solotech’s positioning as an international leader in the audiovisual and entertainment technology industries, particularly now with the conquest of the American and European markets. Indeed, on November 27, 2018, Solotech acquired SSE Audio Group, the British leader in audio services, concluding the most important transaction in its history. “This rebranding is a fantastic evolution of our image, an honour to our expertise and passion for more than four decades”, said Martin Tremblay, President and CEO of Groupe Solotech. “We are looking ahead with confidence thanks to our modern and dynamic identity which is aligned with our strategic objectives. Our new imprint not only enables us to better stand out on the global stage but also on digital and mobiles platforms”. In fact, the redesign of Solotech’s brand image includes its new website showcasing the company’s new identity, which is the result of a long-term endeavour involving multiple collaborators (Ascendis, Apogée Solutions Créatives, etc. ), and overseen by Christine Latour, Marketing and Communications Director, as well as her entire team. The implementation process will continue in the following months in Solotech’s offices and on its gear. “I am convinced that our modernized and asserted identity, combined with our talented team, continues to strengthen our leadership and visibility on all continents”, concluded Martin Tremblay. When the 40th anniversary arena tour of Jeff Wayne’s musical version War of the Worlds was announced, the shows production manager, Steve Nolan, called on PRG once again to provide automation. This proved the perfect opportunity to showcase the state of the art Movecat automation system which PRG has recently invested in. KLANG:technologies visited Jeff Wayne’s The War of Worlds to talk with him and monitor engineer Becky Pell about the challenges in managing a full string orchestra and band with 168 tracks. Litec has just released a new video on A4i.tv dedicated to its MyT Folding Steroid Roof System, which was chosen for an extremely large Tribute Concert in Naples, Italy that celebrated the life and songs of Italian singer Pino Daniele. The video documents construction of the massive MyT Folding Steroid Roof System, which also featured spot and delay towers (constructed with MyT Folding Steroid’s modular components), and shows them in action during the evening’s performances. The highly publicized and nationally televised concert attracted an impressive crowd of more than 85,000 attendees and was broadcast to a television audience of millions. The MyT Folding Steroid Roof System is a modular, completely self-contained roof environment. It’s a hybrid combination of MyT Folding Steroid Truss made from EN AW-7003 T6 aluminium (used as a mother grid), 23 metre high towers with 85 by 85 cm bases made from EN AW-6082 T6 aluminium, and key structural elements in high strength S355 steel such as modular ballast bases, sleeve block and safety block grid/tower. Even within an open-air stadium setting, and a tremendous crowd in attendance, Litec’s MyT Folding Steroid Roof System maintained its dominating presence. It thoroughly impressed both visually and with its high weight loading parameters. Read the full story in the January issue of TPi. This year’s Production Futures took place at Production Park in Wakefield on the 7th November. 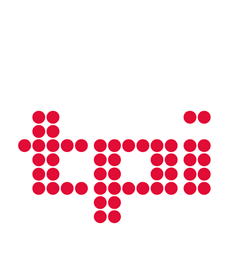 The event, which included the TPi Breakthrough Talent Awards was an opportunity for students and freelancers to get their first taste of the industry, through exhibitors, talks from industry professionals and a series of training sessions. Automation Engineer, Sam Augustus demonstrates Blacktrax real-time tracking software on David Byrne’s latest American Utopia tour. The video, narrated by David Byrne, shows how all lights are programmed follow a performer in the middle, moving in a straight line, using the software’s offset feature to create a veritable real-life, real-time follow the leader scenario. Watch the video to hear a bit more about what’s happening. Star Events has released a vibrant video highlighting the company’s work for British Summer Time Hyde Park (BST) as the festival stretched to accommodate Roger Waters’ massive Us + Them performance, the first of its six sell-out shows this summer. Shot by video production and promotion company, In The Bag, under blue skies, this unique look behind the new scenes focuses on the Star team building the Great Oak, panning across the Vista hospitality structure, the Barclaycard Stage, brand activations for Barclaycard and Samsung, the main entrance arches and site-wide overlay. Roger Barrett, Special Projects Director at Star Events, commented: “To achieve what Roger Waters needed, while still enabling the other five major BST Hyde Park shows, was challenging to say the least. “This film is a stirring document of Star working with a promoter committed to providing the very best for artists and audiences”. The renowned engineer mixes Sir Tom Jones at Edinburgh Castle on Crest Audio’s Tactus digital mixing system.